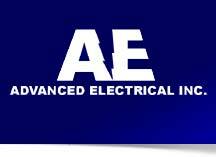 JEM Electric Inc., is an electrical service and repair company. We provide residential, commercial and industrial services. JEM has served over 20,000 customers since being established in 1993. We rely on repeat and referral business and are very thankful to our loyal customers. We have 14 trucks to serve your electrical needs. Family owned and operated with over 80 years of combined experience.